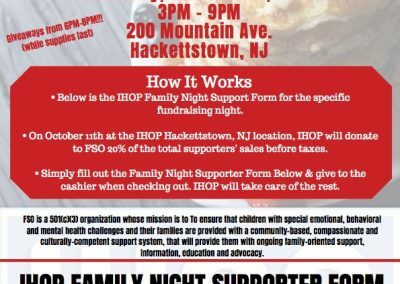 FSO Fundraiser at IHOP | October 11th - Family Support Organization of Hunterdon, Somerset & Warren Counties. 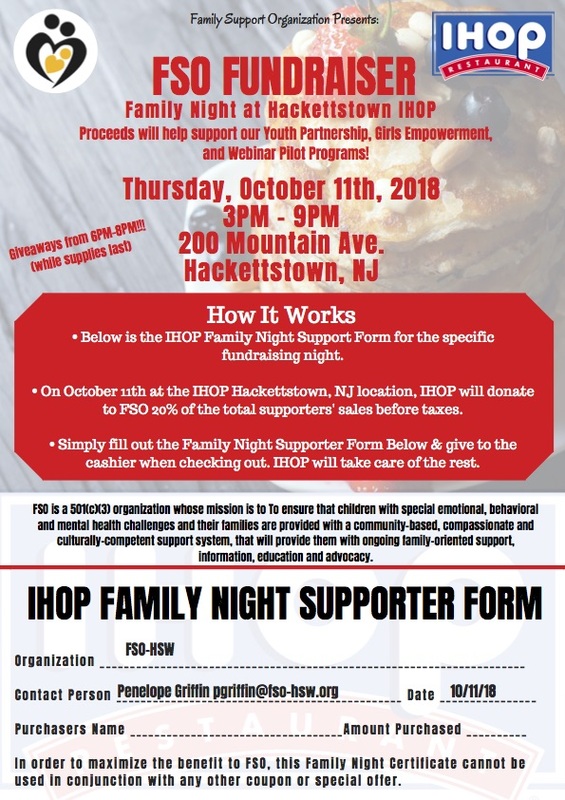 Join us for our FSO-HSW Fundraiser Family Night at IHOP Hackettstown! 20% of your purchase will support our: Youth Partnership, Girls Empowerment &, Webinar Programs. Click on the below flyer for details.